There are four babies! 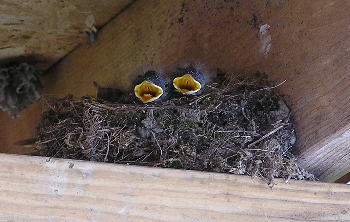 They are more active now and will probably fly in a couple more days. 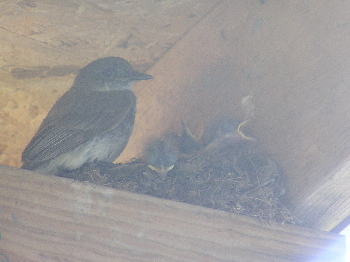 One of the photos is a bit hazy--it was taken through a window with shadowing from a curtain--the parents are camera-shy and this was the only way I could get the shot. I'll keep posting pictures every few days. Enjoy!